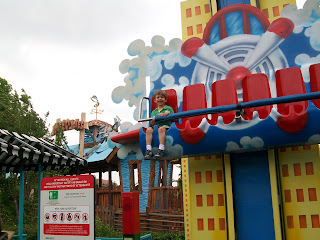 Last weekend we went on a mini family vacation to Six Flags in Arlington. Dawson had such a great time. It wasn't as much fun for Brady as he was stuck in the stroller most of the time, but he didn't complain - just lounged back and took in all the sights. 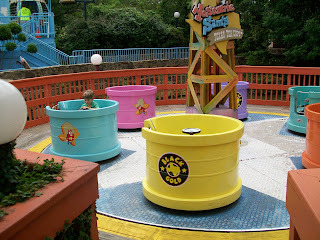 The kids area at Six Flags was superb. There were tons of rides for the little ones. 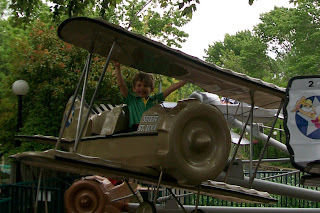 Dawson really enjoyed all of the little rides, but was especially excited about the big roller coasters. 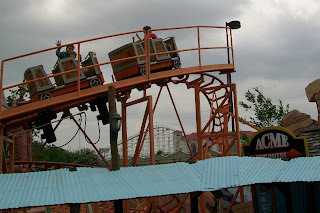 He was tall enough to ride the Judge Roy Scream, which goes up (and then down) 6 stories and speeds up to 40 mph. I thought he might be a little scared, but he wasn't at all. 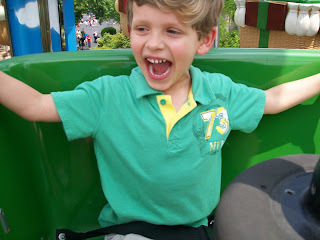 In fact, he held his hands in the air and giggled the entire ride. 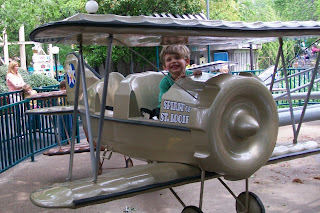 It was his favorite ride and we rode it several times. He also really liked the Tony Hawk roller coaster, log ride, bobsled ride, and the big ship that goes really high and rocks back and forth. 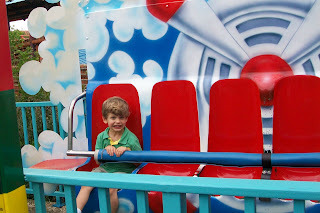 Smiling and laughing as the ride suddenly drops him down. 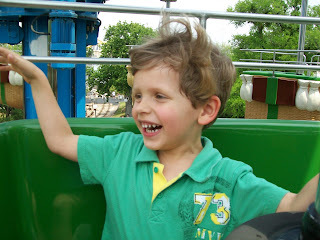 A big smile as he enjoys the ride. 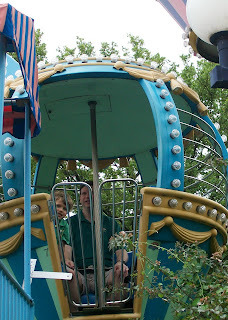 Randy and Dawson on the mini Ferris wheel. 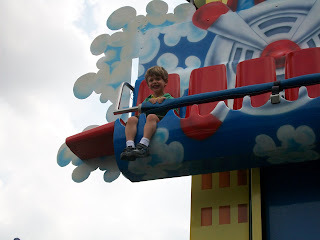 He loved this spinning cup ride and all the nauseating spinning rides throughout the park. Randy and Dawson on the kids roller coaster. Smiling as we go up in the air on a balloon ride. Laughing as we fly in the air and spin around. 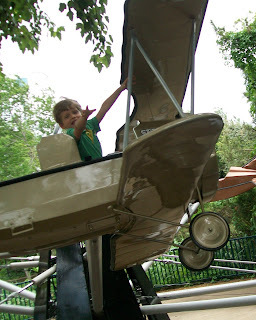 Pilot Dawson, ready for take off. 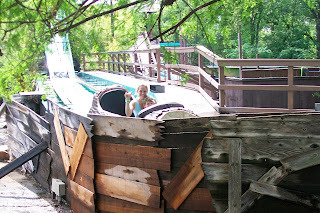 Dawson and I at the end of the log ride. 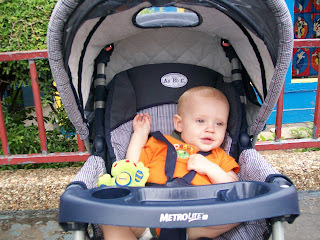 This is how Brady spent his time at Six Flag, hanging out in the stroller.